Sky Aces: World War is an arcade aviation simulator dedicated to the events of WW II, and the airplanes participating in the conflict over the whole world. This updated version includes improved graphics, better frame rates, new features, improved user interface and HUD plus experimental support for local network games with two players. The distinctive features of the game are models of airplanes of elaborate detail, copied from drawings and historically colored. Using slightly simplified physics, learning the controls of the airplanes is accomplished quickly and easily while providing for a fun gaming experience. 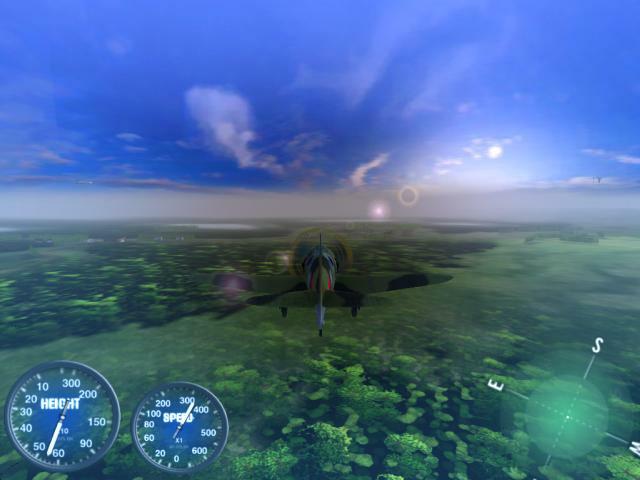 NOTE: The game is not a full fledged simulator and cannot make a pilot out of you; instead it lets you experience, from virtual piloting, a maximal adrenaline rush.